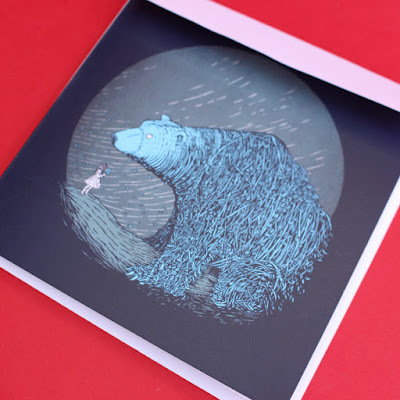 My illustration 'The Deep' taken from last years Puck Collected publication is available to buy now as a limited edition print. 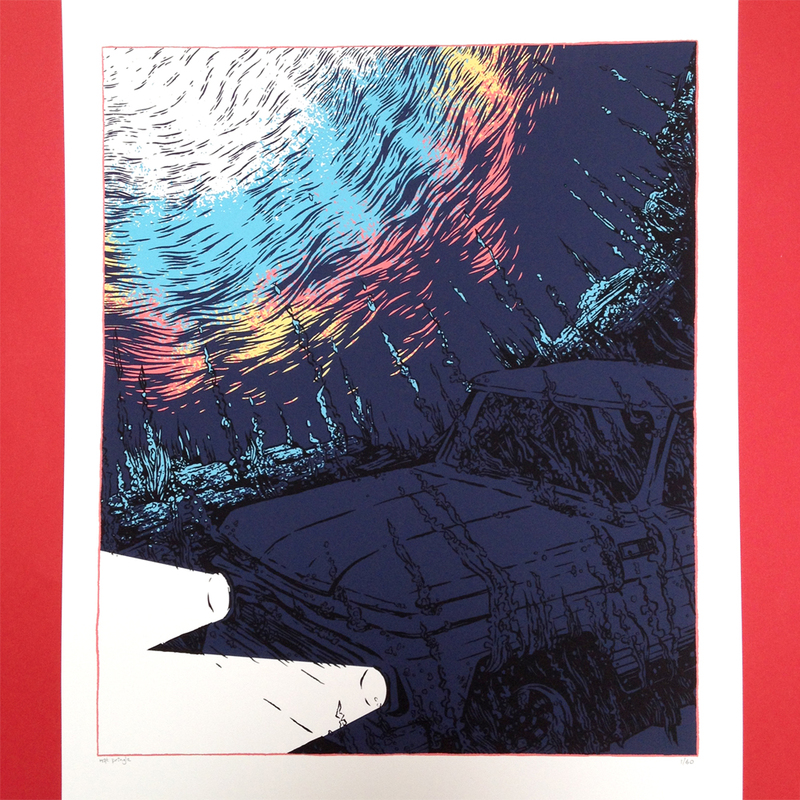 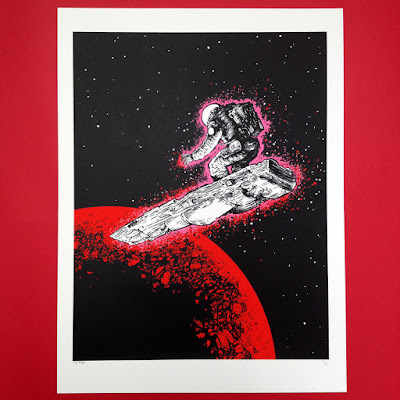 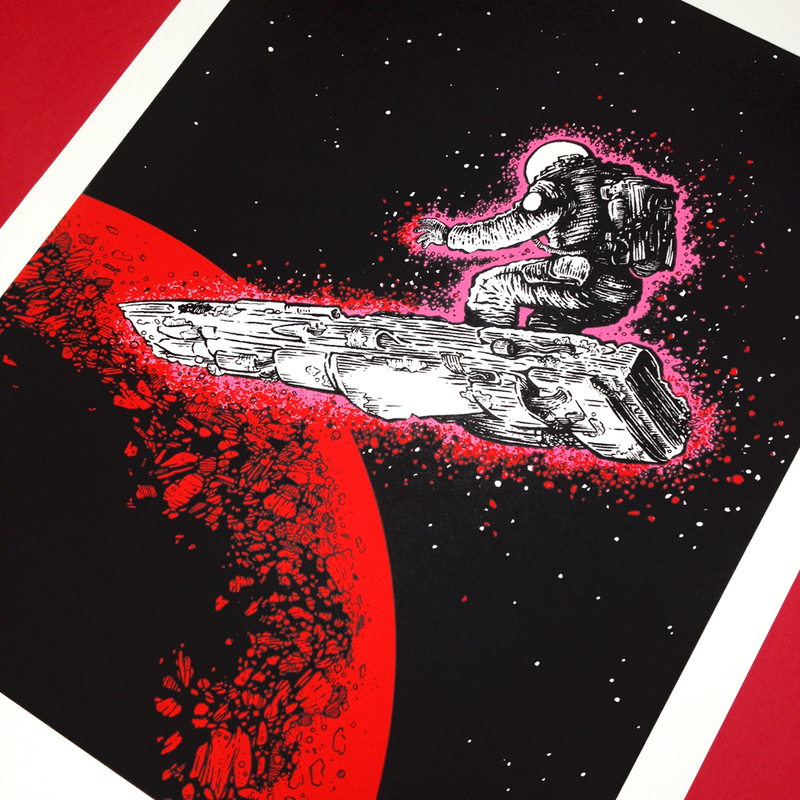 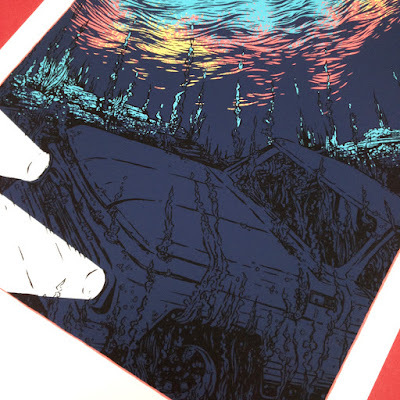 My 'What a Beautiful Way to Die - As a Falling Star' screenprint is available now to buy here in my shop. 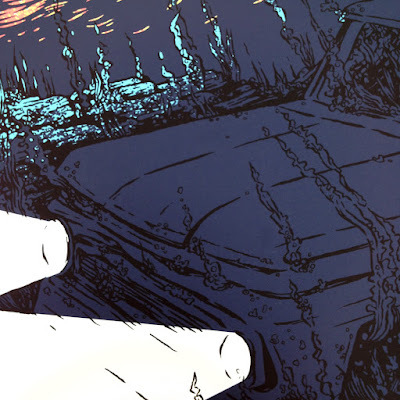 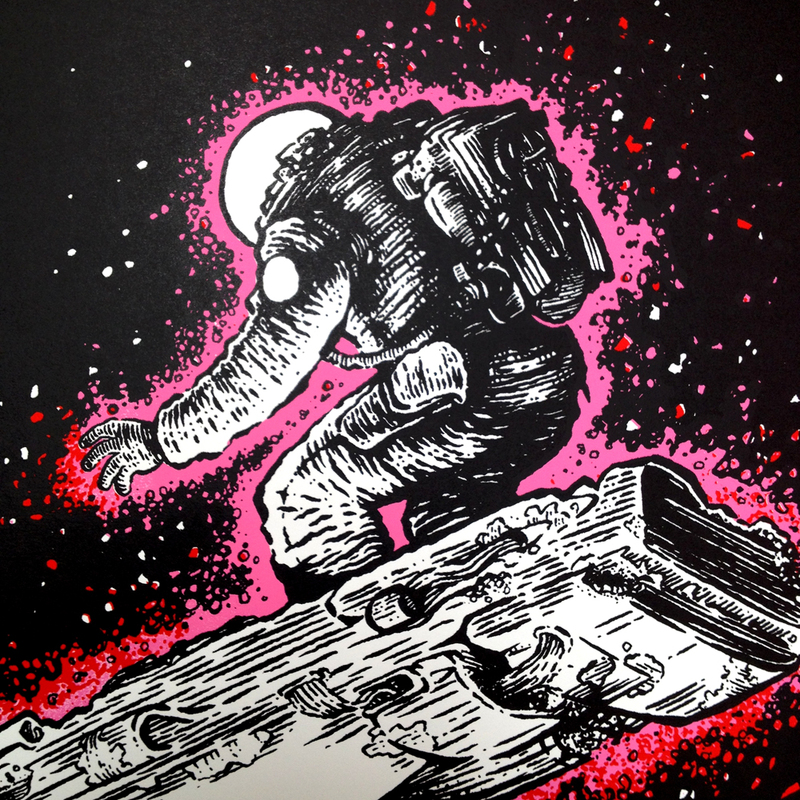 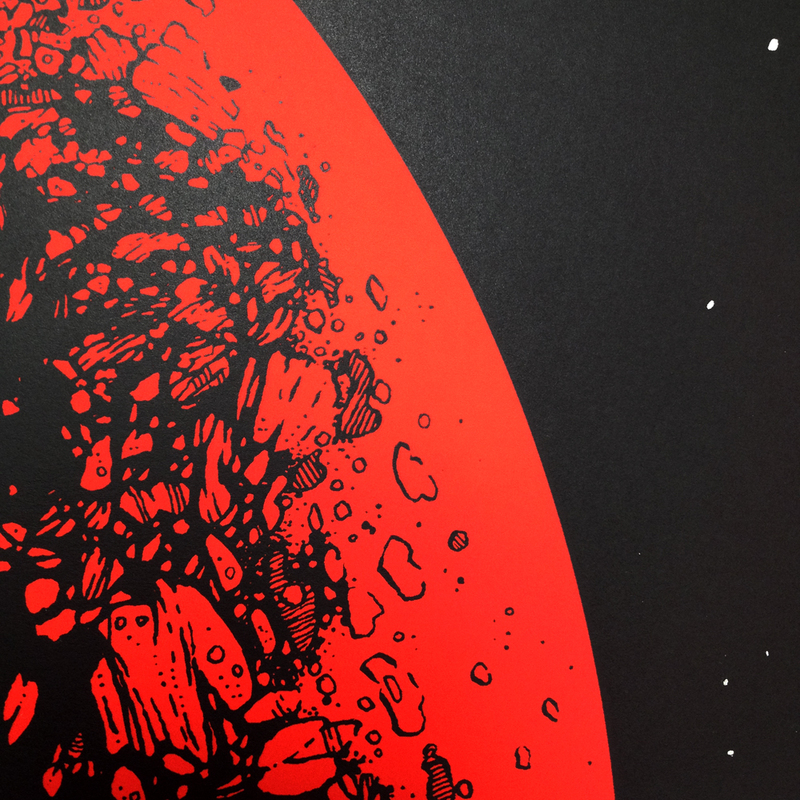 The illustration was inspired by John Carpenter's 'Dark Star' and featured in the Gallery 1988 exhibition Crazy for Cult. More details on the shop page. 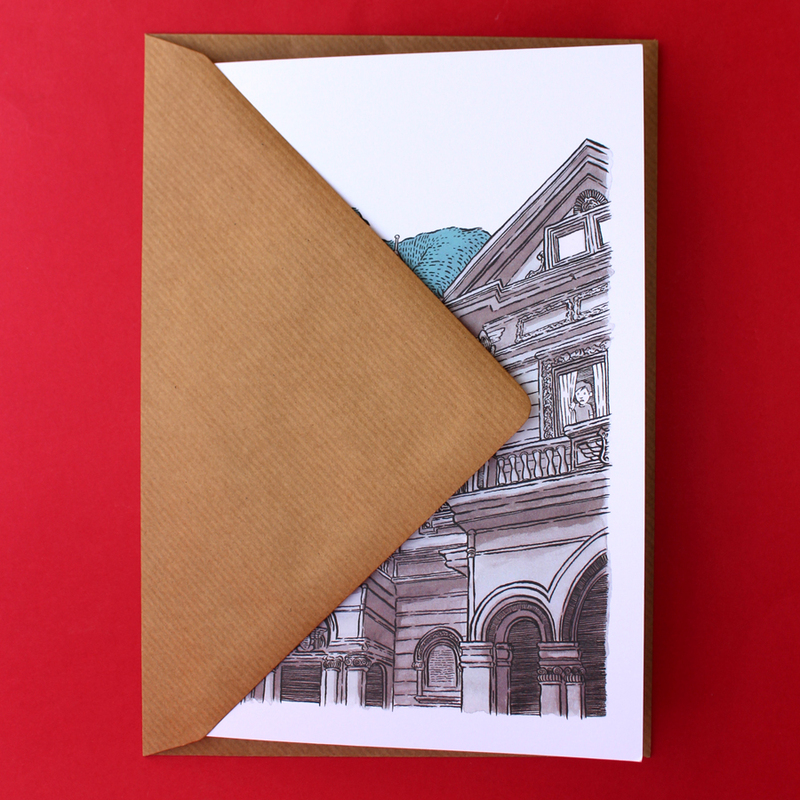 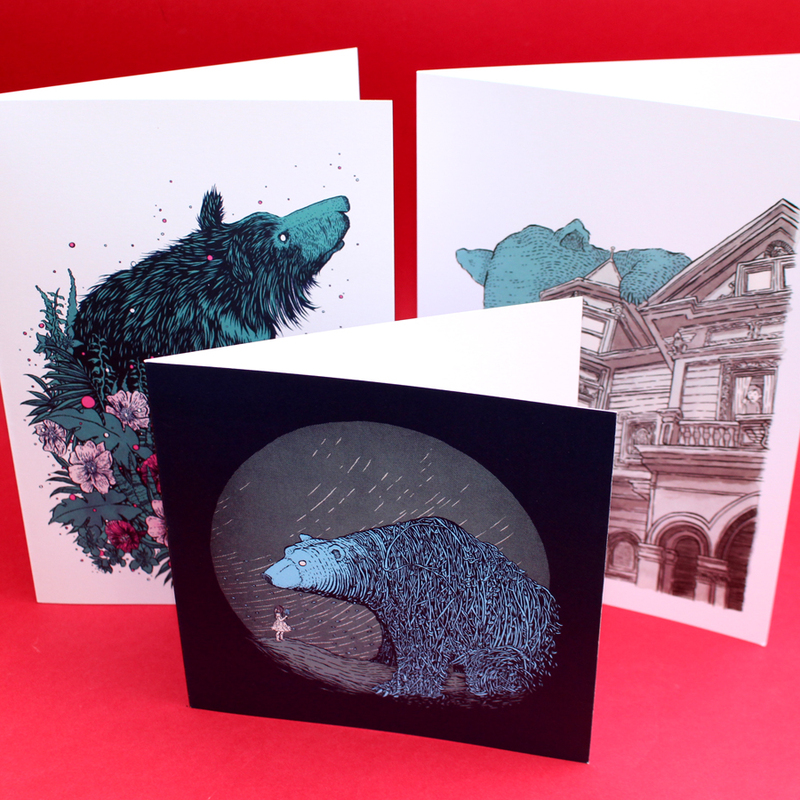 I've finally got around to getting some high quality greeting cards printed. 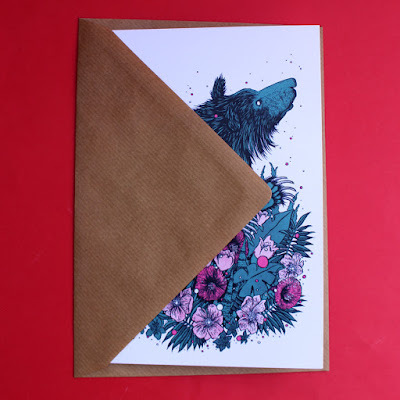 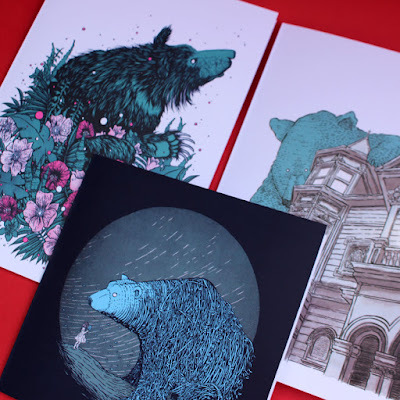 There are three different cards in my shop here including my new 'Sloth Bear' artwork for the Jungle Book Club show with Puck Collective.